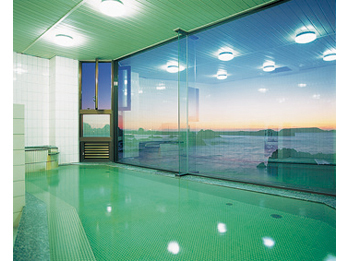 Hotel Meoto is located along the beach of Nanaura Coast, the aesthetic landscape of Sado, with a scenic view of the Meoto Rocks. It is a magnificant view the sun sinking into the Sea of Japan. 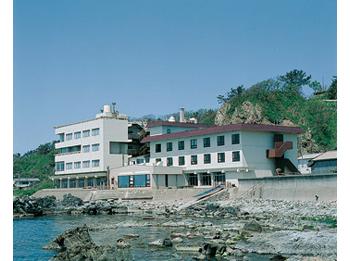 Hotel welcomes guests with fine cuisine mainly with fresh seafood from the Nanaura fishery harbor. 60 minutes on bus from Ryotsu Port, Sado Kisen, bound for Aikawa and get off at Meotoiwa. 50 minutes by taxi from Ryotsu Port, Sado Kisen.